Sehel Island in the Nile, below Aswan Low Dam. Sehel Inscriptions, in island's granite boulders. 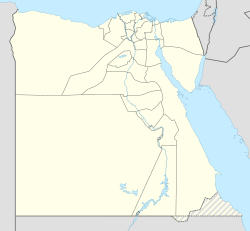 Sehel Island is located in the Nile, about 2 miles (3.2 km) southwest of Aswan in southern Egypt. It is a large island, and is roughly halfway between the city and the upstream Aswan Low Dam. Sehel Island, spanning 3/4 the width of the Nile, is the primary large island below the Nile's First Cataract and the Aswan Low Dam (1902). Following downriver, the next major islands after Sehel are: Saluga, Ambunarti, Elephantine, and then Kitchener's Island. There are a dozen smaller islands scattered around them. The Famine Stela, Sehel Island. The island was known in ancient tiles as Setet, and there are many archaeological sites, including sacred places, such as the temple of Anuket, the Egyptian water goddess, and goddess of the Nile's cataracts. Seheil was home to a stone quarry for granite used during various Ancient Egyptian eras, and there are many inscriptions in the island's granite boulders. These inscriptions were usually left by travellers marking either the start or end of their journey to Nubia. There are several famous inscriptions that record ancient historical events. One is the Famine Stela, which is of Greco-Roman origin, but claims to record events from the time of Djoser and Imhotep. ^ Aswan area map, Planetware.com, web JPEG image: PW: (map shows major islands near Aswan Dam and Aswan High Dam). ^ "Switching..." www.thaliatook.com. Retrieved 2018-02-24. Wikimedia Commons has media related to Sehel Island. This page was last edited on 11 April 2019, at 19:23 (UTC).